Obituary for William Alfred Jones | John Syka Funeral Home, Inc.
William Alfred Jones, age 85, of South Heights, died Friday, September 14, 2018 in Good Samaritan Hospice, Beaver. He was born November 25, 1932 in Aliquippa to the late Kenneth and Jennie Thomas Jones. He was a retired carpenter and a 50 year member of the Carpenter Union Bill was an avid hunter, fly fisherman, gardener and master jelly maker. He was a 56 year member of South Heights Council after being appointed on January 1, 1962 and proudly served his country in the US Army during the Korean War. His passion in life was his family and enjoying his grandchildren and great grandchildren. He is survived by his loving wife of 59 years, Eleanor Morse Jones, three sons, Dennis (Christie) Jones, Lindy (Linda) Jones and Scott Jones, a daughter, Jennifer Bobanic, and was the proud Pop-pop to Andrew Bobanic, Haley (Nate) Harmons, Sarah (Jake) Welch, Samantha Jones, Emily Bobanic, and Kasey and Peyton Jones, and proud great grand pop to Weston and Emmette Welch, three brothers, Ronald (Rose) Jones, Richard (Melanie) Jones, Charles (Pat) Jones, two sisters, Dolores (Louis) Onora, Evelyne (Norman) Murchland and numerous nieces and nephews. Friends will be received Tuesday from 2 to 7P.M. 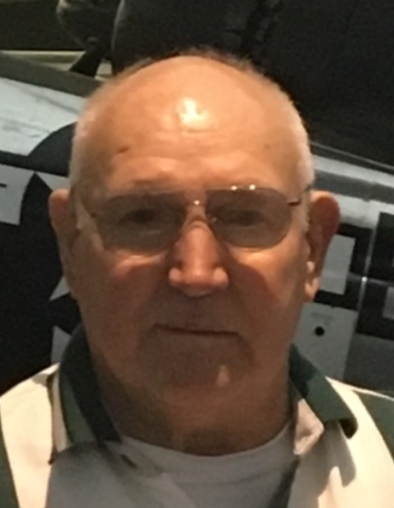 in the John Syka Funeral Home, 833 Kennedy Dr, Ambridge where a funeral service will be conducted Wednesday at 11:30 A.M. Interment with full military honors will follow at 12:45 P.M. in Sylvania Hills Memorial Park provided by the Beaver County Special and the United States Army. In lieu of flowers, memorial contributions are suggested to The Neshannock Chapter of Trout Unlimited care of Bill Stevenson, 3815 Hemlock Ave., Heritage, Pa. 16148.